Duramax Marine products are used in all types of military, commercial and recreational vessels. 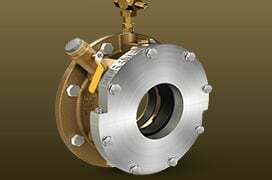 We are the recognized leader in water-lubricated bearing technology, with a line of custom designed heat exchangers, shaft sealing systems, and impact protection systems that have earned the trust of marine professionals worldwide. Duramax Marine has been developing environmentally friendly products for decades. Our technical support staff has the experience and knowledge to help vessels meet equipment requirements and to operate in compliance with new regulations for our clean new world. For decades, Duramax Marine has worked with the U.S. Navy, researching and testing ways to increase water-lubricated bearing performance for the advancements in U.S. Navy vessel technology. Duramax Johnson Cutless sleeve and flange bearings were the first and only bearings to meet all MIL-DTL-17901C Class II requirements. The Duramax ROMOR I Stave Bearing System was field tested on the Trident submarine with remarkable results. Its low coefficient of friction and wear life exceeded everyone’s expectations. It experienced virtually no shaft wear, or bearing initiated hull noise. Proven technology like this is the reason why 90% of all surface ships and submarines of the U.S. Navy are running with our water-lubricated rubber stern tube bearing technology today. Our staff’s dedication to delivering the highest performing, most consistent high quality level of products to the marine industry has not only earned the trust of the U.S. Navy, but also the U.S. Coast Guard, other branches of service, law and drug enforcement, and navies around the world. Duramax Marine is one of the most trusted names in the commercial marine industry. You will find Duramax products at sea everywhere in the world, on every type of commercial vessel. That’s because marine professionals know Duramax manufactures the most dependable, highest quality products in the marine industry. No one has more knowledge of commercial vessels and the conditions they operate in than our staff of marine professionals. So when vessels run into difficult maintenance problems, a Duramax technical support team will always there for them with the right answers and latest in product solutions. 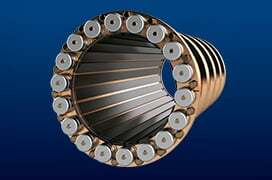 Duramax engineered rubber bearing technology delivers unbelievable wear life and protects a commercial vessel’s shaft from damage when operating in the dirtiest of working environments, unlike hard surface bearings that claim long life but can cause excessive wear and damage to the shaft. 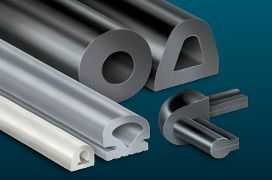 Our Johnson Cutless Sleeve and Flange Bearings, Advanced ROMOR I Stave System, Johnson Demountable Staves, and DMX Polymer Alloy Bearings have nothing else to prove. 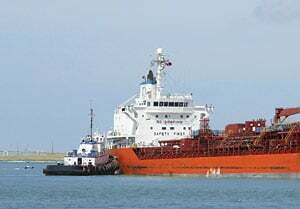 They continually set performance records on commercial vessels other bearings materials are still trying to reach. Duramax heat exchangers handle all the cooling needs of vessels. 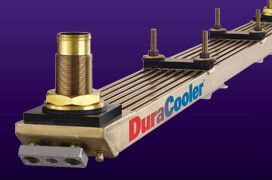 The DuraCooler Keel Cooler, Spiral Tube Keel Cooler, Duramax Box Cooler, and Plate Heat Exchanger are custom engineered to fit a vessel’s design and plumbing. Our team of professionals custom design and build the right system to handle the cooling requirements of the new diesel engine technology, as well as any other auxiliary equipment cooling needs. Duramax shaft seal systems protect the integrity of the vessel, give optimum performance, protect the shaft from damage, and are easy to maintain. The Johnson Heavy-Duty Stuffing Box was the first to have the “Air Seal” design that allows you to change packing without dry docking. Duramax markets Ultra-X, a compression packing that outlasts other packing 5 to 1. It is available in sizes as small as 1/8" and as large as 1-1/2". It is a high-performance packing system designed specifically for the marine industry. We have 40 years of experience in custom designing and fabricating the perfect system to protect vessels from damage. Duramax dock bumpers, fenders and tow knees are made of the finest heavy-duty EPDM rubber. From wave runners to a mega yacht and everything in between, when boaters want to protect their investment, keep their watercraft safe and operating smoothly, they use what the pros use – Duramax Marine brand products. Johnson Cutless water-lubricated rubber bearings are used on more boats and vessels than any other bearing. Available from local Duramax distributors, sleeve bearings come in shaft sizes as small as 3/4" to as large as 6-1/2" – with over 100 sizes in stock. 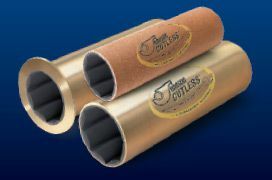 Cutless Bearings come in naval brass sleeves and flange, or non-metallic. A self-locking rubber stave bearing system for round bore housings is available for shaft sizes as small as 2-1/2 inches. The Duramax “Strong Boy” Stuffing Box and Stern Casting is a brand name well known to pleasure craft customers. They are quality built cast bronze units that need minimum maintenance. Duramax also has a line of mechanical shaft seal systems easy to maintain for new installations or to replace existing systems in different hull designs. Duramax Ultra-X unique compression packing outlast flax 5 to 1, and is available in sizes as small as 1/8" and as large as 1-1/2". It is a packing system designed specifically for the marine industry. It can eliminate maintenance time that gives more fun time for the boater.